Whilst most businesses are now set up on Facebook and Twitter, there are still many companies yet to explore the benefits of social media channels like Instagram. Although many people would associate this channel with individuals sharing ‘selfies’ and what they had for dinner, Instagram provides somewhere businesses can market their products and connect with potential customers too. Here we will provide information about Instagram for business best practices, as well as our top tips for growing your following and marketing your products. 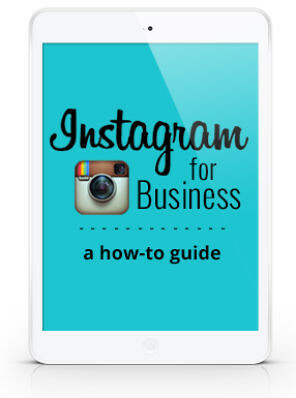 Read on to find out how to use Instagram for business purposes. Instagram is yet another social media channel that allows businesses to market their brands and engage with customers for free. Yes we said free! Unlike the other social media sites, Instagram is unique in that its concept is built around uploading and sharing images. Rather than writing paragraphs of content, for this social media channel, you will need to work on taking interesting and relevant images that will help to tell the story of your brand and your values. Whilst Instagram is a great place for sharing images of your products, it has been suggested that only around twenty per cent of a brand’s uploads should be product related. The other eighty per cent should be fun and interesting images that are related to your industry. For example, a great way to engage with users and personalise their experience is to share behind the scenes images of your employees at work or may be even sneak peeks of new product launches. You may also want to think about asking users to contribute towards your Instagram feed by running a photo contest using a bespoke hash tag you have created or asking people attending an event you are throwing to tweet photos using your event hash tag. These are both examples of great ways to generate a buzz about your business and get people talking about you. Use Instagram filters to jazz up your image uploads. Another fantastic thing about uploading images to Instagram is that you can edit them using the ready-made filters. These filters will enhance the look of your images, without you having to spend hours editing them to perfection. It is a good idea to vary the filters you use and include some ‘no filter’ images to keep it interesting for your followers. It is recommended that you regularly post photos, however this doesn’t have to be every day. It is all about working out when the best time is to engage with users and the type of images they like to see the most. When you first set up your business Instagram account, have a think about what content is already available to you and when you will have time to take new images. You will then be able to create a content schedule. Whilst consistency is paramount, you do not want to bombard your followers’ feeds with your images every few minutes of the day. You may also want to consider varying your content by creating Instagram business videos too. These videos can be up to fifteen seconds long and can feature anything from you showing your products in use to a clip from a speech given at the latest event you put on. It is recommended that you take a look at the content on the top business Instagram accounts for inspiration. By seeing what works well for the likes of Nike (1,677,064 followers), Starbucks (1,313,459 followers) and Forever 21 (1,377, 048 followers) you can get a better idea how they vary their content and engage with users. Engaging with users to build up a following is every bit as important as marketing your brand on Instagram. The best way to do this is to follow people and interact with their images by liking them and commenting on them. By doing this, people are likely to respond to you and follow you back. Another great way to engage with users is to include a call to action in your image descriptions. Asking a question is a great way to prompt users to interact with you and start a conversation. In order to carry on the conversation, you simply have to include @ and then their username in your reply. Like all social media platforms, Instagram provides businesses with an opportunity to get to know their customers better. A great way to do this is to search for existing customers using the search bar. Simply type in your product or band name and it is likely (if you have had sales) that images will have been posted featuring your product. You can then look at the users’ accounts and see what other images they have posted. This will give you an idea of what other products they like and what they enjoy doing, helping you to build up a better customer profile. Snapchat for Small Business Marketing ?